The new BMW X1 xDrive28i with BMW TwinPower Turbo. • World debut of a new generation of BMW 2.0-litre petrol engines; new BMW X1 xDrive28i is the first model to feature this innovative combination of hallmark BMW driving pleasure and efficiency. • The first four-cylinder petrol engine with BMW TwinPower Turbo technology offers a substantial power upgrade as well as a significant efficiency improvement; rated power: 180 kW/245 hp, rated torque: 350 Newton metres. with innovative solenoid injectors, and the latest further enhanced version of the BMW-patented VALVETRONIC variable valve control system. • New engine generation constitutes the latest innovative highlight of the BMW EfficientDynamics strategy, 2.0-litre engine with torque upgrade compared to the previous engine and exceptionally low fuel consumption and emissions. • Equipped as standard with six-speed manual transmission or optionally with eight-speed automatic; extensive BMW EfficientDynamics features, including Auto Start-Stop function (manual transmission models). in the EU test cycle: 7.9 litres/100 km or 35.7 mpg imp (an improvement of 1.5 litres / 5.7 mpg), CO2 emissions: 183 g/km (down by 38 g), acceleration from standstill to 100 km/h (62 mph) in 6.1 seconds (manual transmission) or 6.5 seconds (automatic transmission, down by 0.3 seconds). • Standard-fitted intelligent BMW xDrive all-wheel-drive system calibrated for optimised driving dynamics; Performance Control optionally available. 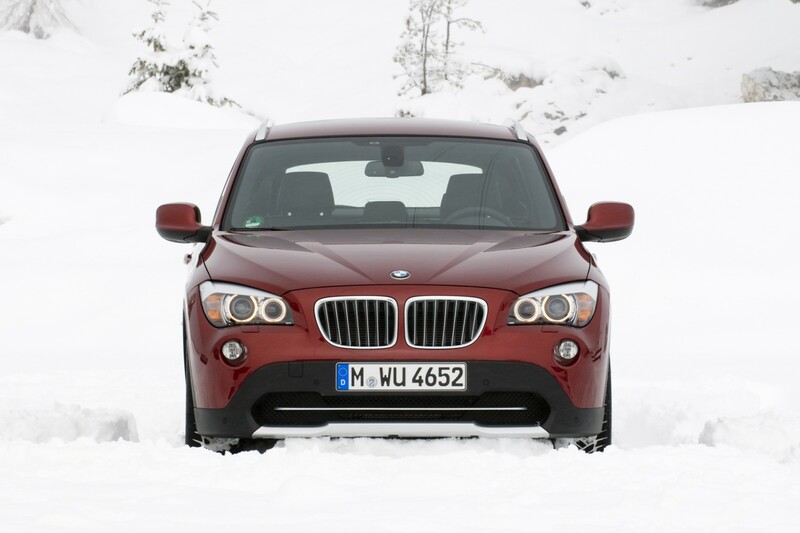 • M Sports package available as an option for all BMW X1 model versions. BMW X styling features and driving qualities, extensive interior adaptability, uncompromising premium quality including outstanding build and materials, upscale interior trim, and innovative BMW ConnectedDrive options that include apps to receive internet radio stations and for in-car Facebook and Twitter use. a charge system based on the twin-scroll principle, double-VANOS variable camshaft timing and VALVETRONIC variable valve control. 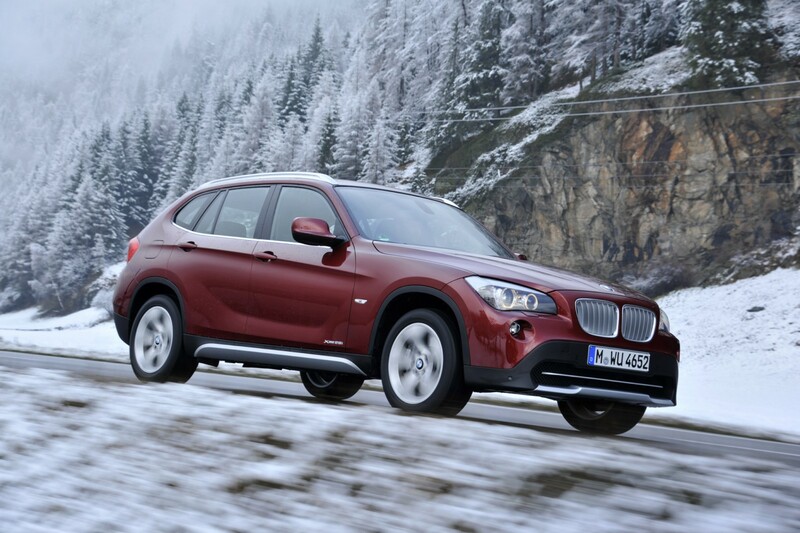 BMW X1 xDrive28i to coincide with the launch of a new generation of BMW 2.0-litre petrol engines. The new 180 kW/245 hp powerplant combines a power and torque upgrade over the previous engine with substantially reduced fuel consumption and emissions. This twofold improvement is reflected in some impressive performance specifications. The 0 to 100 km/h (62 mph) sprint time is 6.1 seconds (automatic: 6.5 seconds), an improvement of 0.7 seconds (automatic: 0.3 seconds) over the previous model, which was only available as an automatic. At the same time, average fuel consumption in the EU test cycle has been cut by 16 per cent to 7.9 litres/100 km (35.7 mpg imp), with CO2 emissions of 183 grams per kilometre. its exceptionally high internal efficiency, models with this transmission offer identical fuel consumption and emissions performance to those with the manual version. of oversteer or understeer. The result is improved traction in slippery conditions or away from surfaced roads, and improved cornering dynamics. 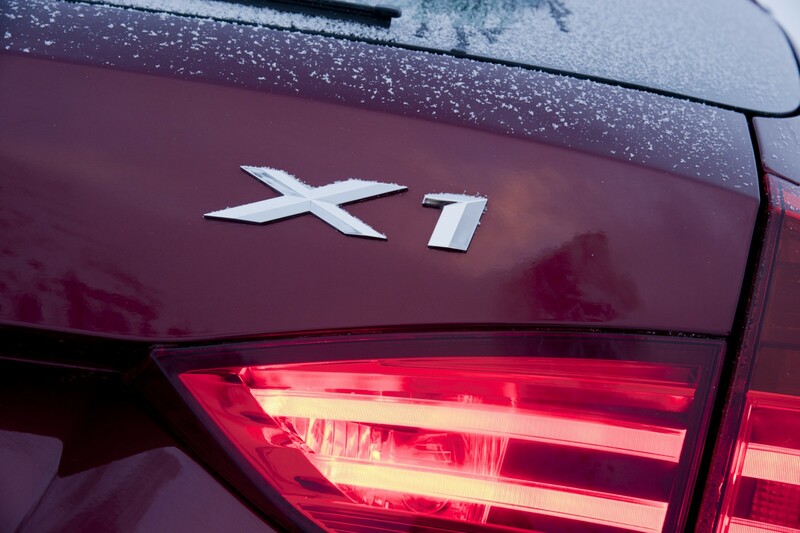 xDrive is calibrated for optimised driving dynamics, which results in precise steering response when cornering. Additionally, the optional Performance Control system can be specified, which matches the drive torque at the rear wheels to driving conditions for even more agile performance. the first time be available with an M Sports package. This option, which is available ex works for all engine versions, comprises a range of suspension, exterior and interior components which have been developed specifically for this compact BMW X model. BMW X models offer their own distinctive interpretation of typical BMW driving pleasure. 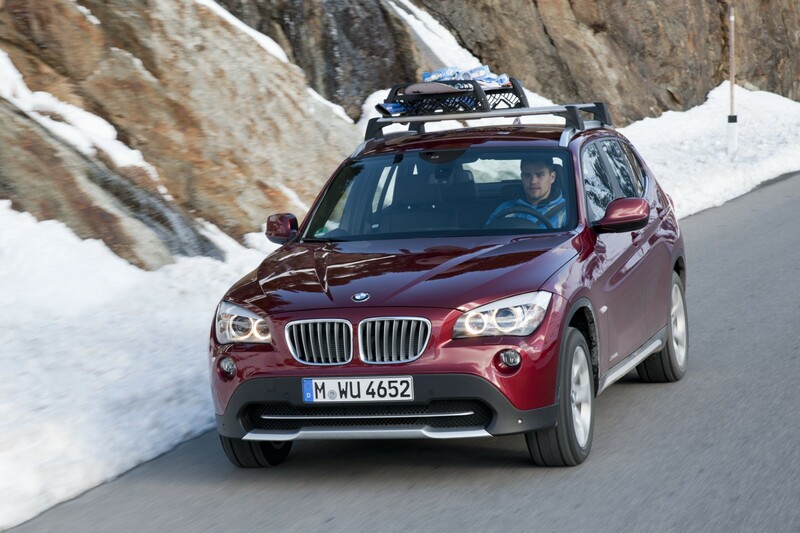 The BMW X1 xDrive28i combines this special driving experience with efficiency that is unrivalled in this power class. As a result, this new BMW X1 model offers sporty power delivery of a kind that was previously confined to six-cylinder engines – but combines it with outstanding fuel consumption and emissions performance. It’s all down to the latest-generation 2.0-litre four-cylinder petrol engine, which sets new standards with its various innovative technologies. 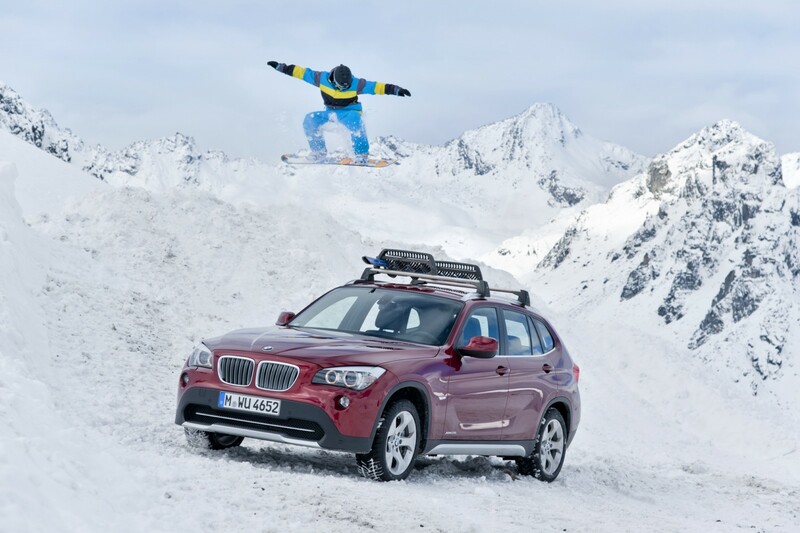 The BMW X1 xDrive28i’s powerplant achieves the twofold goal of BMW EfficientDynamics in impressive style: it continuously raises the bar on driving pleasure, while at the same time reducing fuel consumption and emissions. With a displacement of 1,997 cc and world-exclusive BMW TwinPower Turbo technology, incorporating twin-scroll turbocharging, High Precision Injection, double-VANOS and VALVETRONIC, it delivers maximum power of 180 kW/245 hp at 5,000 rpm – 55 kW more than the previous top-powered BMW 2.0-litre petrol engine. the sort of power which naturally aspirated engines can only achieve through more cylinders and substantially larger displacement. The four-cylinder engine with its all-aluminium crankcase, including a motor sport-derived bedplate, is lighter and more compact than a six-cylinder engine of equivalent power. 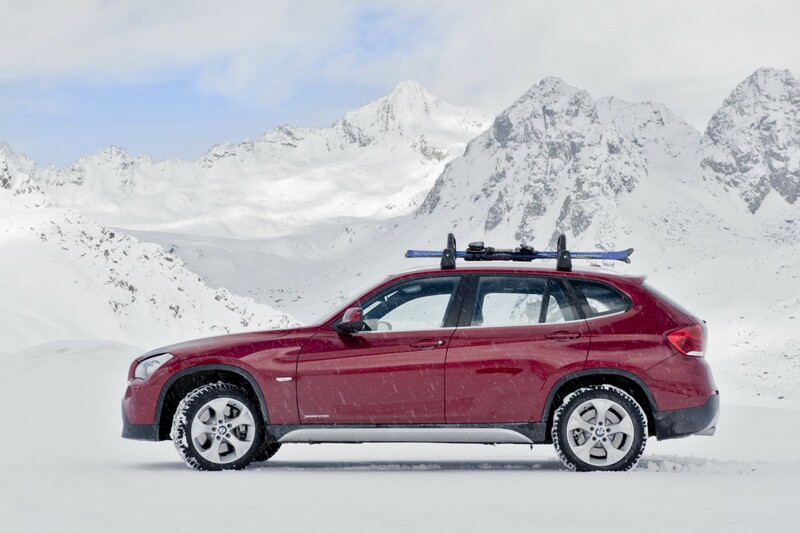 This has direct benefits for the efficiency of the BMW X1 xDrive28i and also, thanks to the reduced front axle load, for agility. The new engine offers more torque, too, than the previous naturally aspirated engines. Rated torque of 350 Newton metres, which comes on stream at just 1,250 rpm, ensures very good low-end response. The vigorous power delivery, from only slightly above idling, is a very seductive feature of this new engine, and the power climbs steadily all the way to the upper area of the load range. The new BMW X1 xDrive28i has a 0 to 100 km/h (62 mph) sprint time of 6.1 seconds (6.5 seconds with automatic transmission). These times are an improvement of 0.7 seconds and 0.3 seconds respectively on those for the previous model with six-speed automatic transmission. 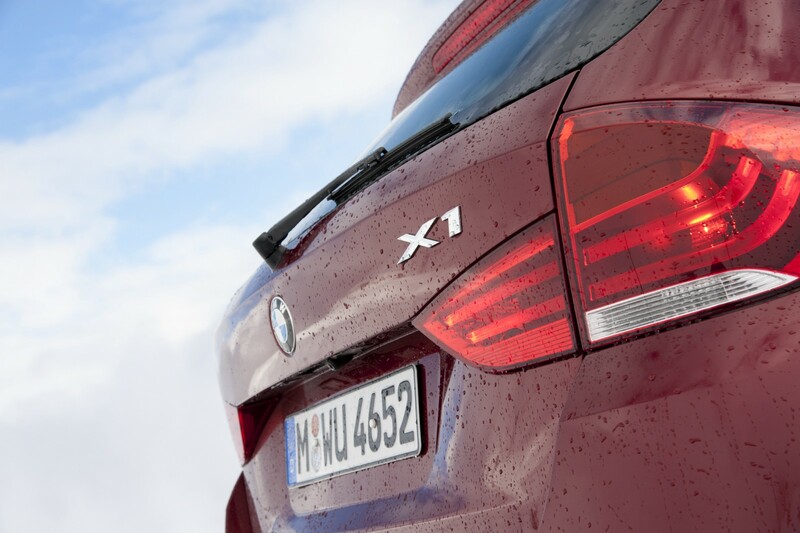 The new BMW X1 xDrive28i hits a top speed of 240 km/h (149 mph). two pairs of cylinders are kept completely separate as they flow through the exhaust manifold and the turbocharger, taking a spiral path to the turbine wheel. This configuration results in very low exhaust back pressure at low engine rpm, and allows the energy of the exhaust gas pulses to be optimally managed and translated into powerful rotation of the turbine blades, without a response delay. The result is instant throttle reaction and typical BMW fast-revving performance. The fully cylinder head-integrated VALVETRONIC variable valve control system, and the double-VANOS variable intake and exhaust camshaft timing, have a further positive impact on power development. 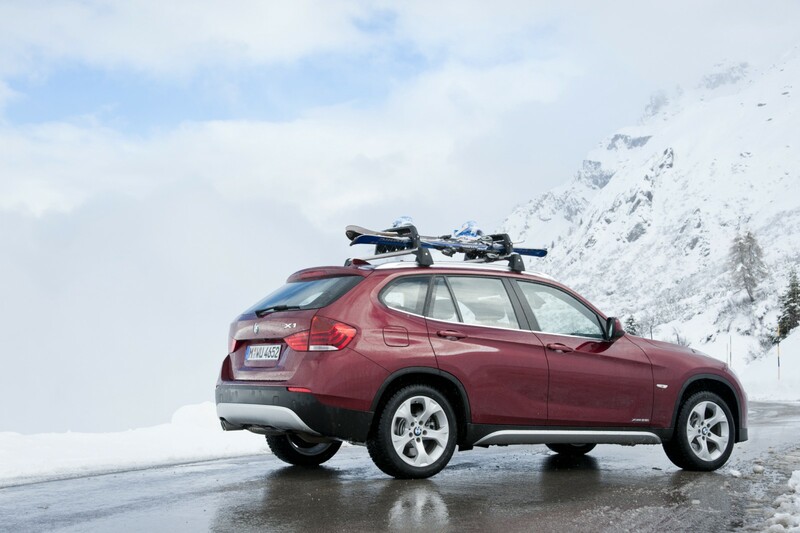 The BMW X1 xDrive28i engine features assembled intake and exhaust camshafts and a latest-generation VALVETRONIC system which is even faster-acting thanks to an optimised stepper motor with integrated sensor. The efficiency theme continues with a computer-controlled oil pump and an on-demand electric coolant pump. Also, the new BMW X1 xDrive28i is specified as standard with a six-speed manual transmission with Auto Start-Stop function. This system automatically switches off the engine when the vehicle stops at crossroads or is sitting in stationary traffic in order to prevent unnecessary idling and wasteful use of fuel. (35.7 mpg imp), a 16 per cent improvement on the previous model. CO2 emissions are rated at 183 grams per km. Features based on award-winning six-in-line engine result in new efficiency benchmark. A number of key design features of the new engine are based on the latest-generation BMW six-in-line engine with BMW TwinPower Turbo technology. This 225 kW/306 hp unit, fitted in models such as the new BMW X3 xDrive35i, is internationally regarded as a benchmark in dynamic performance and impressive efficiency. Amongst other tributes, these special qualities earned the six-cylinder engine the Engine of the Year Award 2010. No other 3.0-litre engine offers anything like such a good balance between driving pleasure and fuel economy. And now, the engine of the new BMW X1 xDrive28i has achieved a similar benchmark position in the 2.0-litre engine class. Optional eight-speed automatic transmission – greater driving comfort with no increase in fuel consumption over manual transmission. with shift paddles which allow the driver to operate the transmission manually yet still keep both hands on the wheel. In typical M style, the right-hand paddle is used for changing up and the left-hand paddle for changing down. 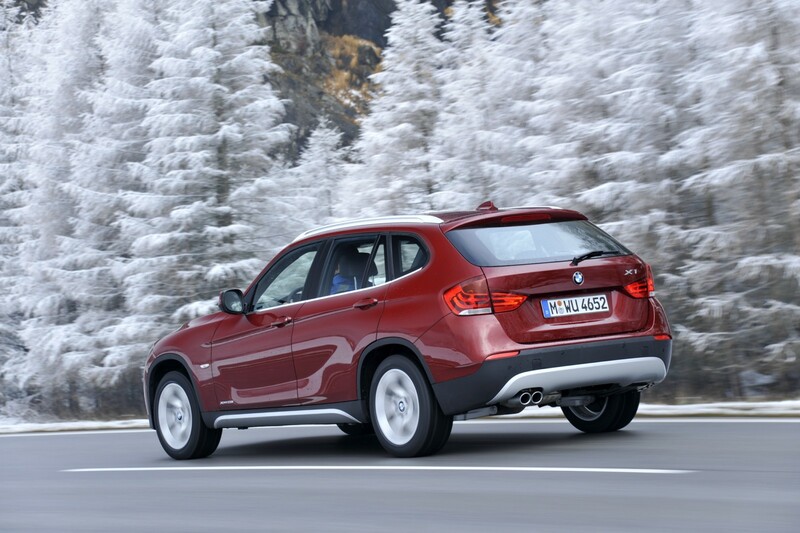 BMW X1 xDrive28i, this means that models with automatic transmission offer identical fuel consumption and emissions performance to the manual version. 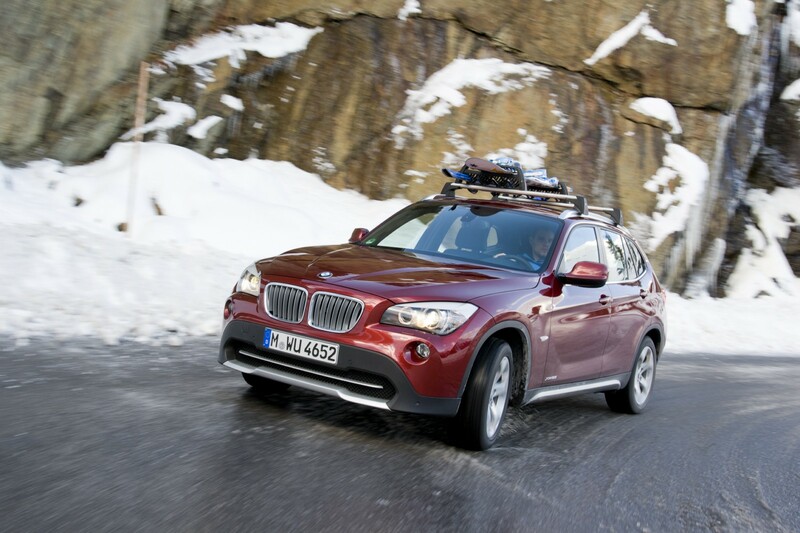 The BMW X1: best-in-segment agility, thanks to BMW xDrive. 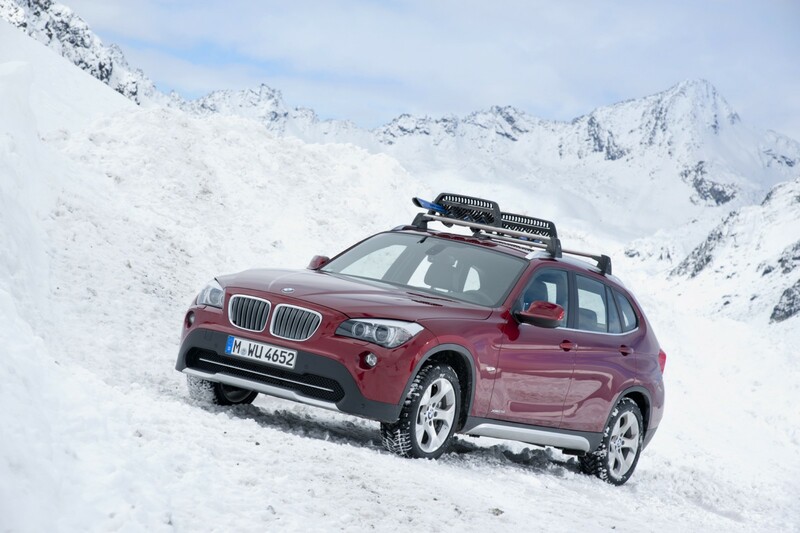 the new BMW X1 xDrive28i’s standard-fitted BMW xDrive all-wheel-drive system, results in improved agility – and confident traction away from unsurfaced roads. Via a transfer case with electronically controlled multi-plate clutch, xDrive finely controls the drive power in line with changing conditions, always sending the right amount of power to the axle whose wheels have the best grip. split-second speed by varying the drive split to efficiently correct under- and oversteer at the earliest possible stage. During cornering, more drive power is sent to the rear axle to improve manoeuvrability and prevent understeer. The DSC system includes integral ABS, Dynamic Brake Control (DBC), Cornering Brake Control (CBC) and also Dynamic Traction Control (DTC). DTC raises the stability control response thresholds, making it easier to move off on snow or sand. Amongst other features, the DSC system also includes a Brake Drying function – for wet-weather driving – and Fading Compensation. the very first signs of understeer on slippery surfaces and under very dynamic cornering. Maximum agility and all-round safety through state-of-the-art suspension technology and robust body structure. five-arm rear axle provide an optimal combination of ride quality and sporty handling. The hydraulic rack-and-pinion steering system comes with precise power assistance. In part, the BMW X1 owes its extreme torsional rigidity to intelligent use of high-tensile and ultra-high-tensile steels. Material choices, and the positioning and geometry of struts, braces and other supporting members, are designed for maximum crashworthiness, while also optimising weight and agility. Front and side airbags along with side curtain head airbags for the front and rear rows of seats are standard specification. Three-point inertia-reel belts are standard on all seats, with belt force limiters and belt latch tensioners at the front. 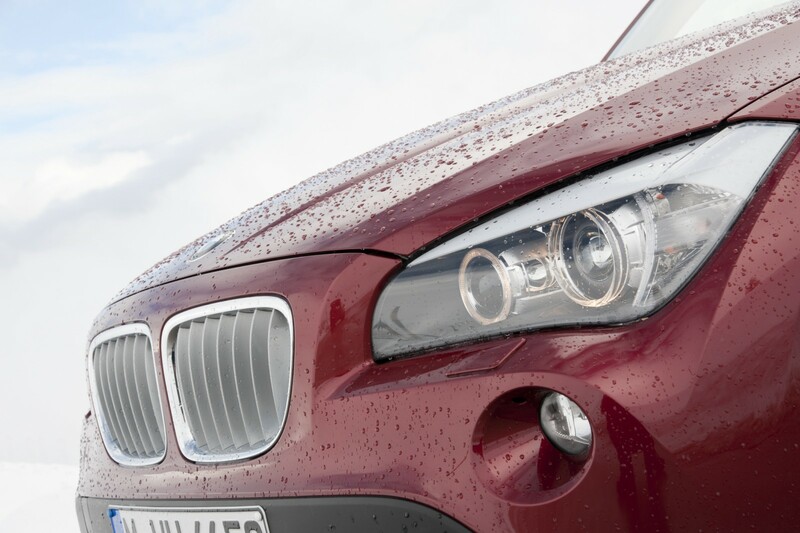 The BMW X1’s standard twin round headlights also feature daytime running lights. The optional bi-xenon headlights incorporate sidelights and daytime running lights. They are combined at the rear with LED fibre optic technology which makes the L-shape of the tail-light clusters stand out even more strikingly. Further options for the BMW X1 include High-Beam Assistant, a rain sensor and Adaptive Headlights, which swivel in line with the steering angle. Confident styling, state-of-the-art interior functionality. The BMW X1 delivers unfiltered driving pleasure, all-round sporty performance and extreme agility both in urban traffic and out of town. The styling is marked by confident elegance, upscale functionality and trendsetting modernity. The unique vehicle concept combines typical BMW driving pleasure with a level of interior adaptability which is quite unusual for the compact segment and will appeal to customers with an active and varied lifestyle. Both the versatility and the sporty, agile driving qualities are closely echoed in the body styling, with its seamless transitions between front, sides and rear, and well-defined lines which create fluent connections between the different elements of the body. The five-door X1 measures 4.45 metres (175") in length, but despite the smaller dimensions compared with the BMW X6, BMW X5 and BMW X3, it is clearly identifiable as a BMW X model from every angle. Square-contoured wheel arches, increased ground clearance, narrow guard strips along the lower edges of the body and the upright BMW kidney grille all point to robust design. The long bonnet, short front overhang, a long wheelbase of 2.76 metres (108.6") and the steeply sloping rear windscreen accentuate the sense of length and confirm the sporty credentials of the BMW X1. The higher seating position and driver-centric cockpit design add to the intense driving experience. This layout also provides convenient entry and gives the driver a commanding view of the road. High-quality materials and striking surface textures, plus iDrive for models equipped with an optional navigation system, all reflect the premium-class quality of the BMW X1. Expressive graphic elements, extensive trim panelling and dynamic styling create a sporty, youthful aura in the BMW X1. Horizontal lines give the instrument panel a layered look which continues into the door trim, accentuating the width of the instrument panel as well as the general sense of spaciousness. The centre control styling creates a clear demarcation between the driver’s and front passenger’s areas. The rear offers three full-size seats. One or more sections of the 40:20:40 split-folding rear seatback can be lowered to increase luggage capacity from 420 right up to 1,350 litres (14.8 to 47.6 cu. ft). At the detail level, functionality is further enhanced by a wide range of trays, cupholders and stowage compartments. Practical, innovative, high-quality optional equipment. The everyday practicality, driving pleasure and comfortable touring qualities which are hallmarks of the BMW X1 can be expanded even further by a range of top-quality optional equipment features. Roof rails, a storage compartment package and a tow bar with removable ball head provide additional transport capacity. Interior customisation options include sports seats, seat heating, an interior lights package and the large panorama glass roof. The powerful and efficient automatic climate control system offers a choice of five different climate control modes and maintains a pleasant temperature inside the vehicle at all times of year and in all weather conditions. The standard-fitted audio system includes six speakers, a CD drive and an AUX-IN connection for external audio devices. Optionally, MP3 players and other data or music storage devices can be integrated in the in-car entertainment system via a USB interface. sensor-equipped Park Distance Control system, a further manoeuvring aid can be specified – the optional rear-view camera. BMW ConnectedDrive also offers in-car internet access and innovative solutions for the integration of smartphones and external music players. of the range of infotainment features in the BMW X1 as well. With this special option Apple iPhone users can download free software from the Apple App Store that allows them to select internet radio stations from around the world using the iDrive system or to have the latest posts from their personal Facebook or Twitter account shown on the car’s Control Display. In addition, the online services allow standardised messages to be sent from the car. Additional apps and functions are set to follow in the future. 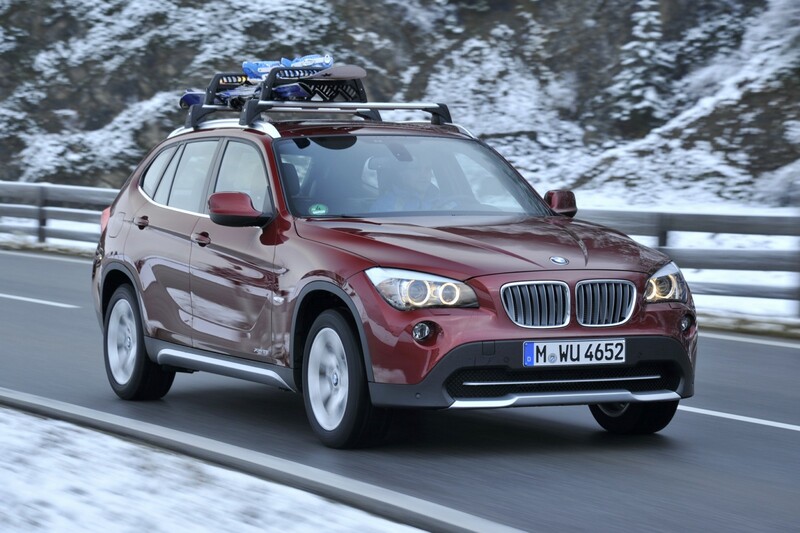 Debut: M Sports package for the BMW X1. be available for all engine versions of the compact BMW X model and comprises suspension, exterior and interior components specially developed for this model. These features further enhance the vehicle’s sporty and agile driving qualities and give them a distinctive visual dimension as well. They include sports suspension calibration and 17-inch double-spoke M alloy wheels for even sharper driving dynamics. Alternatively, the M Sports package can be supplied with 18-inch double-spoke M alloy wheels. The M Sports package for the BMW X1 also features an M Aerodynamics package, door sills with the “M” logo and BMW Individual High Gloss Shadow Line trim for the side window surrounds and roof rails. Also available in conjunction with the M Sports package are the metallic exterior paint colours Alpine White, Le Mans Blue, Sapphire Black, Space Grey, Vermillion Red and Mineral White. Sports seats upholstered in cloth/alcantara, an M leather-trimmed steering wheel with multifunction buttons and an M footrest for the driver add to the driving pleasure when the BMW X1 is equipped with the M Sports package. The high-end sporty theme is capped off by a BMW Individual roof liner in Anthracite, dark cross-brushed aluminium interior trim, the M gearshift lever for vehicles with six-speed manual transmission and a leather handbrake lever gaiter.